There are few things I like doing better than baking on a cold day. 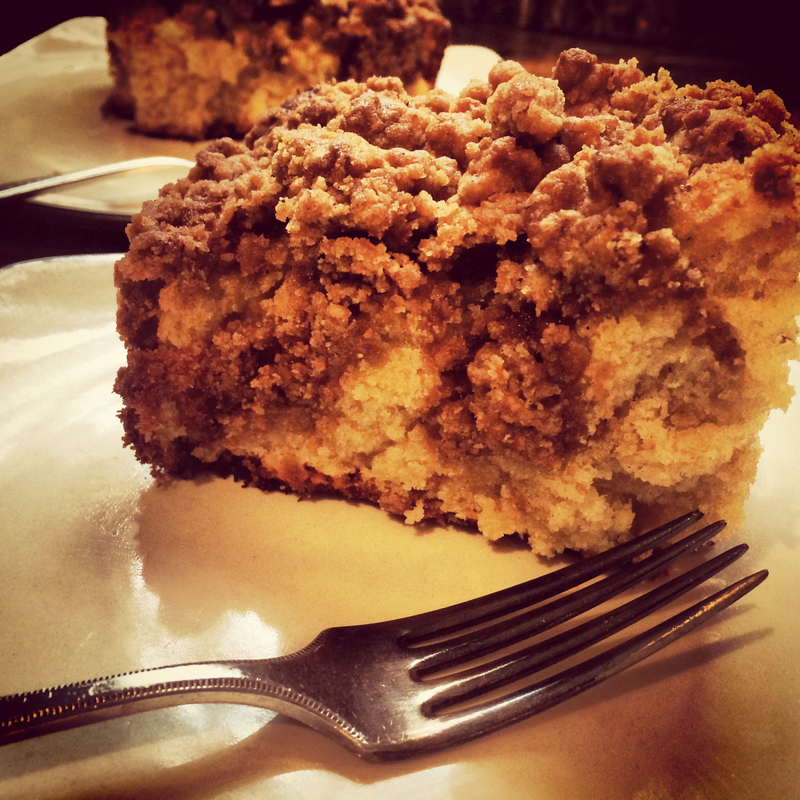 Today’s New York-Style Crumb Cake recipe experiment turned out so good I wanted to share it with you. It is based on this original recipe on Epicurious, with my own spicy twists. Enjoy! Mix both sugars, cinnamon and other spices, and salt in a medium bowl and whisk to blend. Add the liquid melted butter and stir. Add the liqueur. 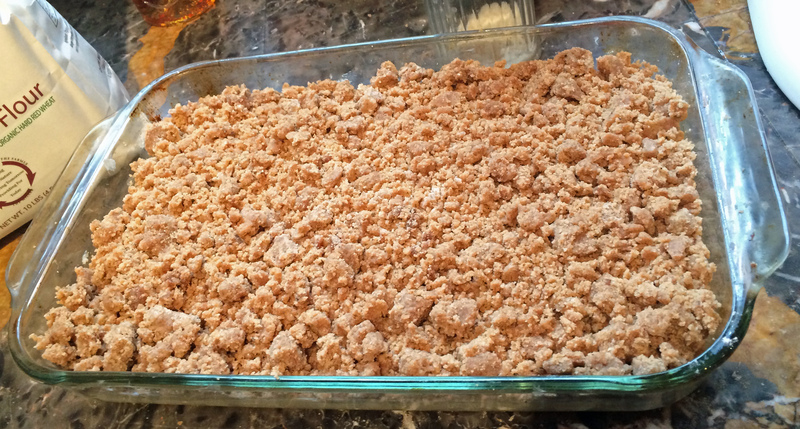 Add the flour and toss with a fork until moist crumbs form and set aside. Position the rack in the center of your oven and preheat to 350*. Generously butter a 13 x 9 x 2 baking dish, preferably glass. Sift together flour, baking soda, baking powder, and salt into another medium bowl. 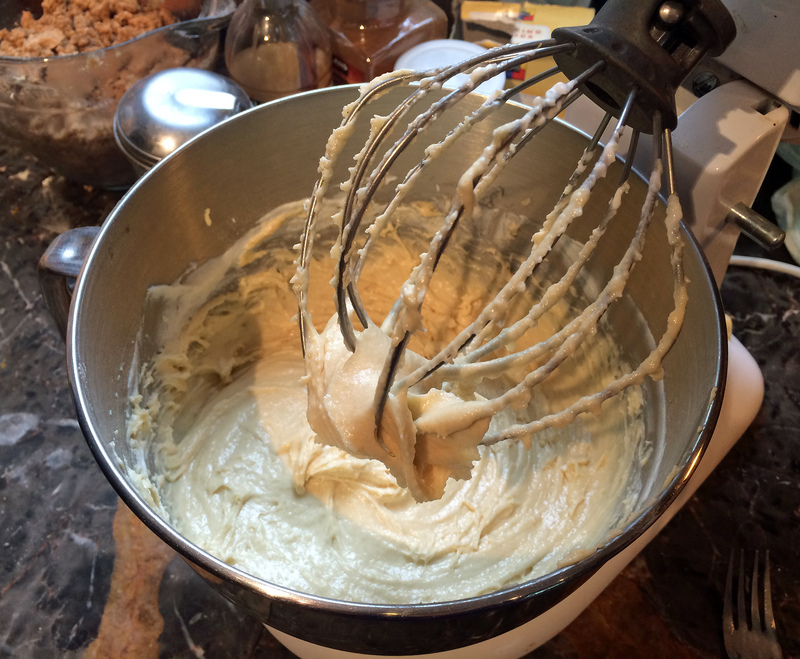 Using a mixer, beat your room-temperature butter in a large-ish bowl until smooth (my Kitchenaid stand mixer bowl worked great if that’s what you have). Add sugar and continue to beat until light and fluffy, then add the eggs one at a time. Next add the yogurt, orange juice and Vanilla extract just until blended. 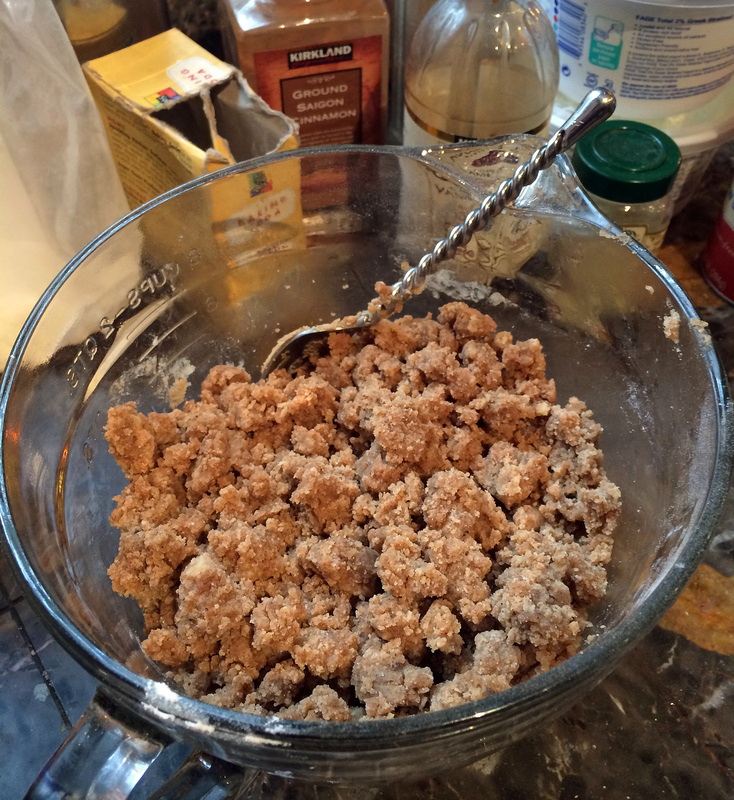 Add the flour mixture a little bit at a time, mixing just until incorporated. 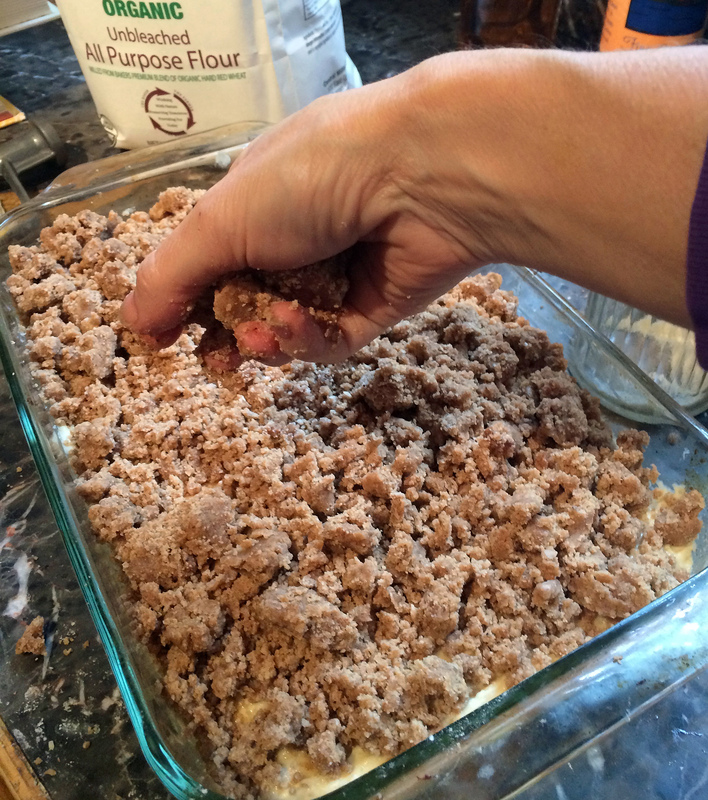 Transfer the batter to your buttered baking dish and spread out evenly, a rubber spatula works great. 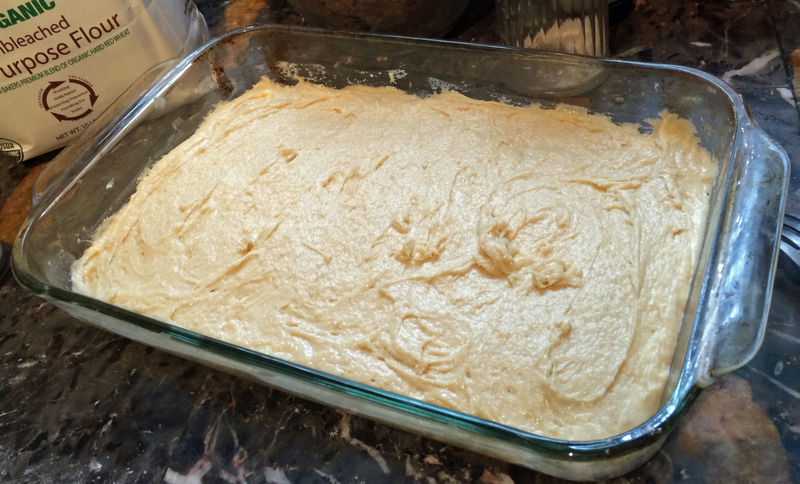 Add the topping over the batter until it completely and pretty evenly covers the batter. Bake your cake in the oven for about 1 hour, or until a toothpick stuck in the center comes out clean. Remove from the oven and cool for at least 30 minutes. You can make this a day ahead of time, just cover and place somewhere safe at room temperature. Cut into squares and serve. Goes great with coffee, even better with Mimosas! Perfect for Sunday Brunch. *High Altitude Baking: Preheat oven to 365 and bake for 1 hour and 15 minutes. 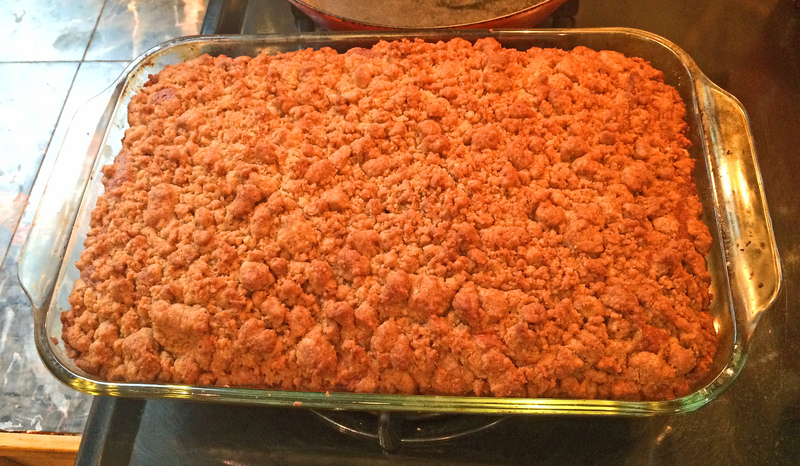 This entry was posted in baking and tagged baking, breakfast cake, brunch, brunch recipe, coffee cake, crumb cake, new york crumb cake, new york crumb cake recipe, orange crumb cake, orange spice new york crumb cake, spice crumb cake. Bookmark the permalink. ← I know, I’ve Been Neglecting You…but here is your First Friday & Awesome Free Events Line-up for September 4-6!